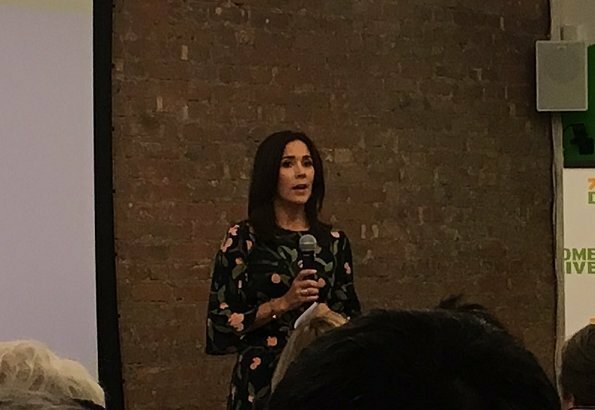 Crown Princess Mary is visiting New York, USA on September 23-25, 2018 to take part in UN General Assembly. 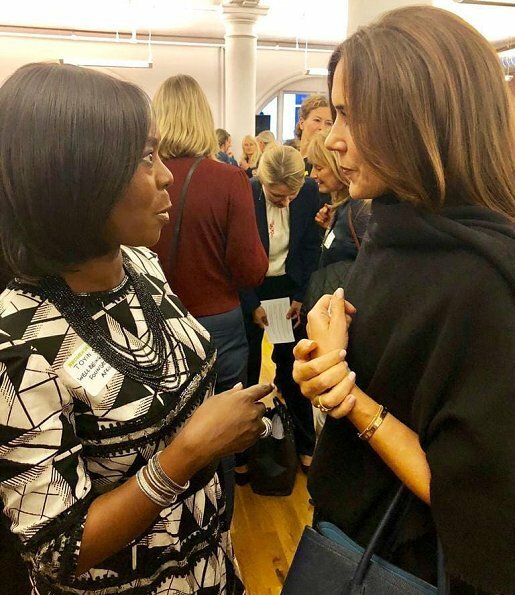 During her visit to New York, Crown Princess Mary will attend a series of events and meetings in connection with UN General Assembly. 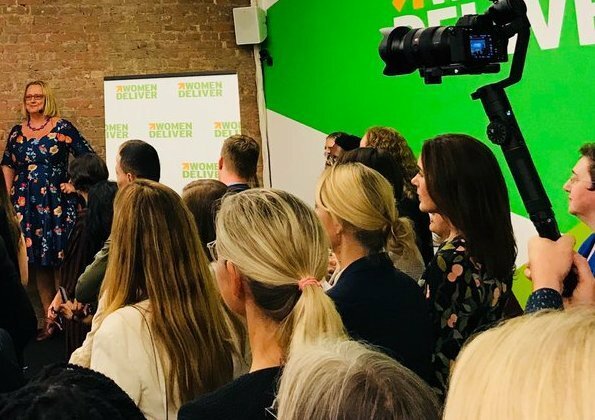 On September 23, Crown Princess Mary attended the reception of Women Deliver Organization. 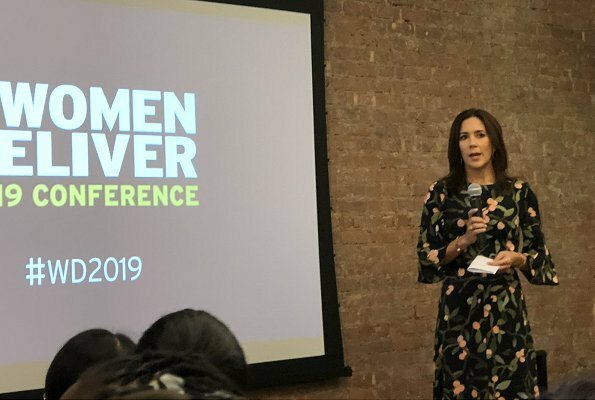 Women Deliver is a global organization which deals with the health and rights of girls and women. In the evening, the Crown Princess attended a dinner with Denmark's UN Ambassador Ib Petersen and his wife Annie Bakke Jensen. CP Mary is chic and simple .She seems a warm person . CP Mary can indeed wear anything and look very elegant. Still I don't feel excited about this other floral dress. CP Mary looks lovely today ,not my favorite dress, but then I am not wearing it. Mary looks good 99% of the time. Her personality is what makes Mary,Mary, not her wardrobe. Princess Mary would look good in a sack. Maybe her dress is a bit too floral, but she still looks good. Professional and stylish. I Like her warm smile. I hope this dress is no longer than knee length, because if it is, it´s too much. Too much of a quirky print, and too much fabric in the skirt throwing of the proportions. I wonder about the venue of this event. Looks like someone´s basement. Also rather small-scale for a global event. Odd.